I love my MDVIP-affiliated practice because it allows me the time to provide personalized care that will improve the quality of life for each of my patients. I have the time to get know my patients beyond their symptoms and care for them in a comfortable and friendly home. Park City is a very active community. I love the "great outdoors" and want to help my patients lead healthier, more active lives and take advantage of their beautiful surroundings. Dr. Yong Hui Ahn, also an MDVIP-affiliated physician, sees patients in our Park City office. Dr. Scott is a amazing Doctor and Ladie,I have thee most upmost respect for her.She has been in ourlives for many years, I have no idea what we would do without her. I truly believe that she has saved my husbands life more than once.We will be very sad the she retires. Dr Scott is a truly gifted physician. I am very happy I made the switch to Kim Scott and MDVIP, I am no longer just a number as I was with my previous PCP and most of those prior that. A wonderful, warm and attentive physician. 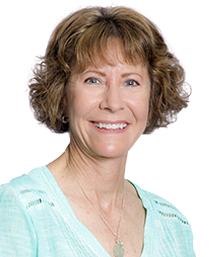 Dr. Kim Scott is very pro-active, seeking to address small health problems before they become serious issues. She is always available and spends time patiently explaining any of her concerns or procedures. A wonderful, warm and attentive physician. Dr. Scott is not only an amazing doctor, she is an amazing person. I hope I will be able to see Dr. Scott as long as she continues to practice. The thought of not having her as my Dr. is hard to think of. Thank you Kim for your caring support over these last 5 years. Thank you Kim for your caring support over these last 5 years. It means so much. Dr. Scott goes beyond the call of duty.